for iPod, Zune, PSP, iPhone, 3GP Phone, MP4 player! Any DVD Converter for Mac firstly performs as a powerful Mac DVD Converter software which can convert even encrypted DVD movies to AVI, WMV, MP4, VOB, FLV, 3GP, MP3, AAC etc. 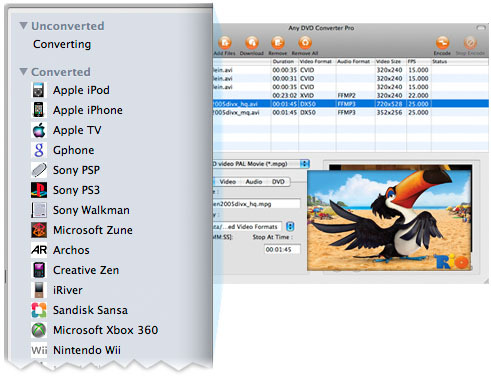 Any DVD Converter for Mac could convert all kinds of video formats including MOV, M2TS, OGM, RMVB, RM, WMV, QT, WebM, FLV, MOD, TS, TP, DVR-MS, Divx, etc., to AVI, WMV, MP4, MPEG-1, MPEG-2, FLV, SWF, MKV, 3GP and more! Any DVD Converter for Mac is the best tool to help you exact audio files from DVD/videos and save as MP3, WMA, M4V, M4B, AAC. AC3 etc. on Mac OS X. Paste URL links of your favorite YouTube videos to the program, download to your hard drive and convert to video formats you need. Downloading only or downloading and converting are available. With Any DVD Converter for Mac, you can easily download the online YouTube videos to iPod, iPad, iPad 2 1080p, the new iPad, iPhone 4, iPhone 4S, Apple TV, Android Phones, Google Nexus One, Sony PSP/PS3, Zune, BlackBerry PlayBook, Nokia N-Series, Motorola Xoom, HTC One Series, Creative Zen, Walkman etc. 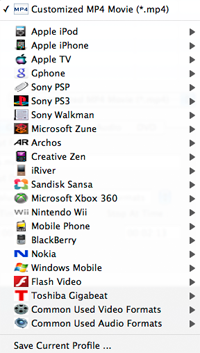 There are several optimized profiles for PSP, PS3, iPod, iPad, the New iPad, iPhone 4, iPhone 4S, Apple TV, HTC, BlackBerry, Samsung Galaxy S, HTC One Series, Archos, iRiver PMP, Creative Zen, Google Android mobile phone, etc. with different quality in the software, which can be applied directly without any further settings. You can merge multiple DVD titles or multiple video files into a singe long video. 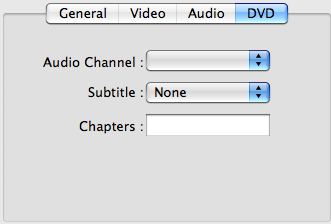 Help you to clip multiple segments in a DVD or video by setting start point and end point as you like. 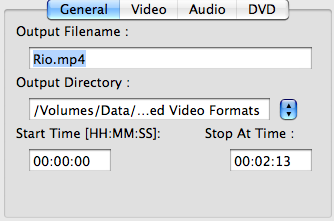 Or trim a section of the DVD movies or video by setting start time and end time. Convert any file in three steps. Click, drag, click. Just with a few clicks, you can convert your favorite DVD movies or videos to avi, mp4. mov, mpeg. flv, 3GP, MP3. AAC. M4A etc. 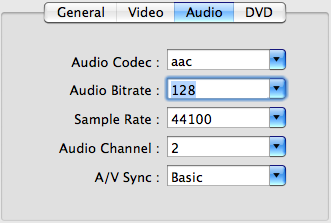 Any DVD Converter for Mac supports converting multiple files in one conversation. And it allows you customize output parameters for target files, like bitrate, frame rate and sample for output audio files. High performance on the conversion speed and output quality. Any DVD Converter for Mac does a perfect DVD converting and video converting job for you. 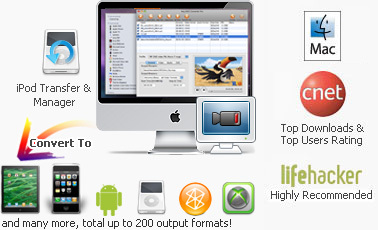 Any DVD Converter for Mac is specifically designed for Mac users. It’s compatible with Mac OS X 10.4 Tiger, Mac OS X 10.5 Leopard, 10.6 Snow Leopard, Mac OS 10.7 lion, 10.8 Mountain Lion, etc. First, please download, install and run Any DVD Converter for Mac. Then follow the installation wizard instructions. 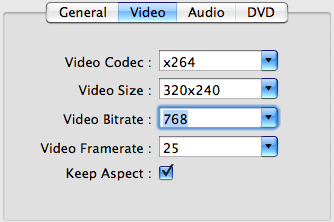 To select a DVD you would like to convert, hit the Load DVD button on the top left corner. In the opened Window, browse for the DVD file. After you have loaded the DVD into the program, click and pull down the output dropdown list to select the output format for your devices. In the list, select your desired output format. Beside the preview window field, you can also manually set the output parameters. For novice users it is recommended to select the default parameter. After converting finished, transfer the converted file(s) to target device. Enjoy now! .